Credit: Rebecca Donald. 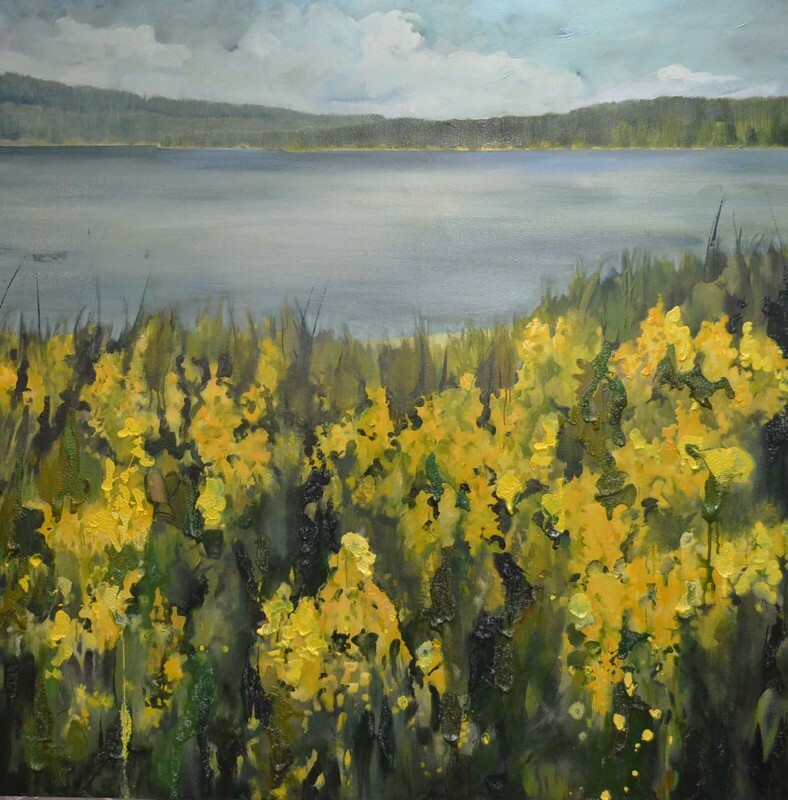 Original oil painting of Spanish Broom looking toward Mace Point on Savary Island and the Mainland of the Sunshine Coast near Powell River and Lund, British Columbia. Are you feeling creative? Crafty? Adventurous? Are you tired of being wired (to your phone) and longing to return to the tactile elements of paint and canvas. Rebecca Donald is offering Art Classes for all ages in her Riverside Drive studio. Why not change things up in 2017 and try an art class? Children learn the basics of art making in this fun and supportive mixed media class. Drawing, painting, sculpture and design skills will be explored through interesting projects. Registration is by the month, $25 per class, supplies included. Wednesdays 3:30-5:00 pm in the Seymour area of North Vancouver. January through May 2017. (No classes during Spring Break). Children will build on their art making skills in this fun and challenging class. Skills such as perspective, modelling through the use of light and shade, colour theory and design theory will be addressed through projects that use painting, drawing, collage and sculpture. Registration is by the month, $25 per class, supplies included. Thursdays 3:30-5:00 pm in the Seymour area of North Vancouver. January through May 2017. (No classes during Spring Break). Semi-private lessons for the beginner acrylic painter in my home studio in the Seymour area of North Vancouver. Learn the basics of making a successful painting: design and composition, colour theory, brush handling, and representing an object realistically. Max 5 students. Thursdays 6:30 – 9:30 pm, January 12 – March 2 (8 weeks). $325 some supplies included.